Recently, we’ve shown you how to create profiles to save your parking spot or to start navigation while avoiding tolls/highways/ferries. 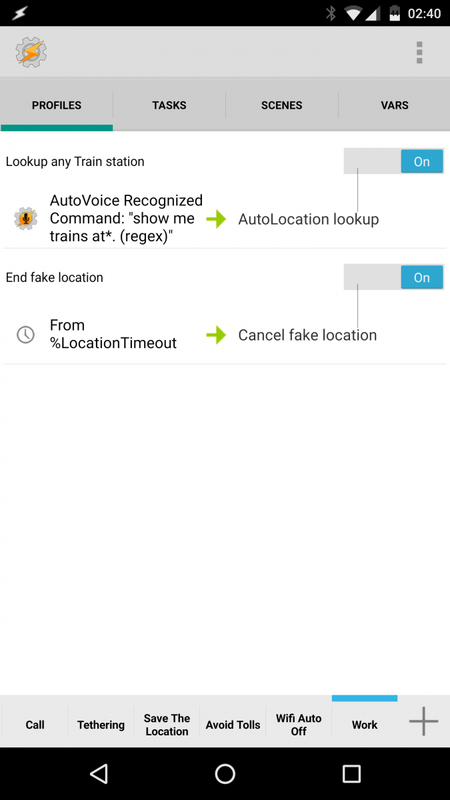 Continuing our trend on commute-related Tasker scripts, we will create a script aimed at people who frequently use public transportation. 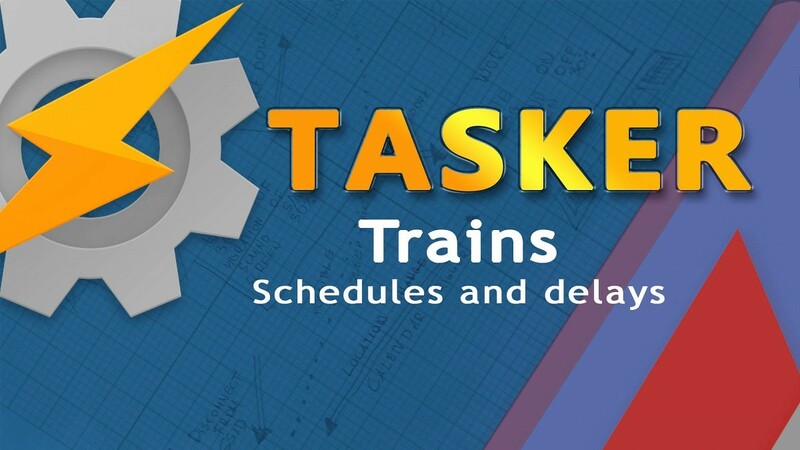 This Tasker project will create a schedule of train departures and delays to give you the information you need to plan your commute. If Google Transit covers your particular locale, this profile should work for you. Because Google Now tries to cleverly serve your information, cards are only displayed on your device when Google thinks you need it, not necessarily when you would actually like to see one. This means that there are situations when the card with the train schedules and delays may not be displayed even though you have a calendar event with a location in the same city within the next few hours! 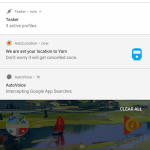 Removing the location from the event fixes that and the Google Now Card should report correctly. While the train updates show up instantly, going back to the original location may take a few moments. 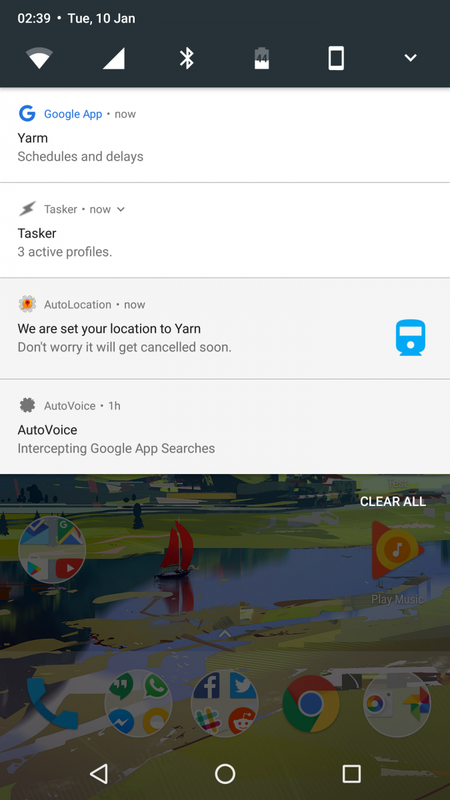 Bear in mind that this will mess up your %LOC variable in Tasker until the next GPS fix is available. If these limitations do not bother you, then read on to implement this on-demand train schedule notifier! Notification Text: Don't worry it will get cancelled soon. The dialog will be closed once the option is selected. You can find this behavior in advanced settings. I need to split these when the appropriate option is pressed and separate the coordinates with the splitter ‘:’ (colon) Next, just store the %atcommand1 in %lat and %atcommand2 in %lon using two Variable Set action. 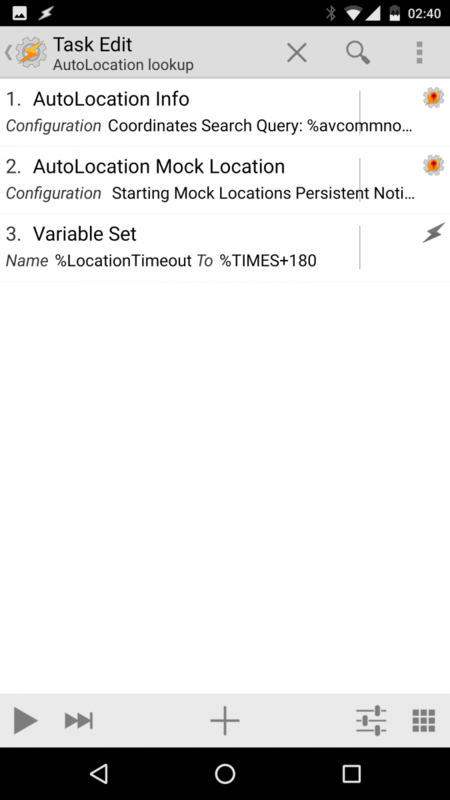 These values will be used in the AutoLocation Mock Location action as the Latitude and Longitude entries. I will also pass the %attext in the associated notification because I’m fancy like that! 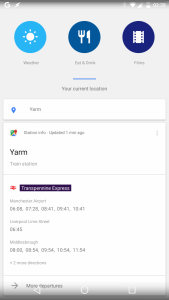 Accuracy of 10m is enough to get trigger Google Now’s train card. 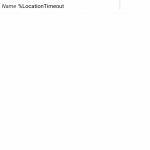 Lastly, I will create a timeout by setting the variable %LocationTimeout to %TIMES+180 (or however long in seconds you wish to keep the fake location on for). Select ‘do math‘. That action will trigger our canceling profile later. To pass the name of the train station, I’m using the AutoVoice Recognize event. The command filter is: show me trains at*. (regex) (using the hard way option). 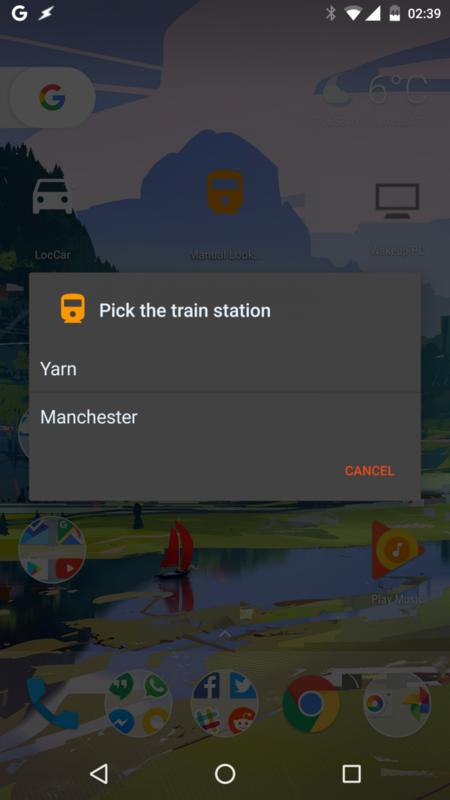 The name of the train station will be stored in the %avcommnofilter variable, which is used to perform the AutoLocation Info action for the coordinates search. Once the coordinates are known, I simply use the AutoLocation Mock Location action again to start the mock location service with Latitude = %alcoordenatelatitudes1 and Longitude = %alcoordenatelongitudes1 (I would limit my results to 1 for more precision). Lastly, I’m adding the same action Variable Set as mentioned earlier to trigger the end of location spoofing. Set the %LocationTimeout to %TIMES+180 (or however long you want to wait before timing out). 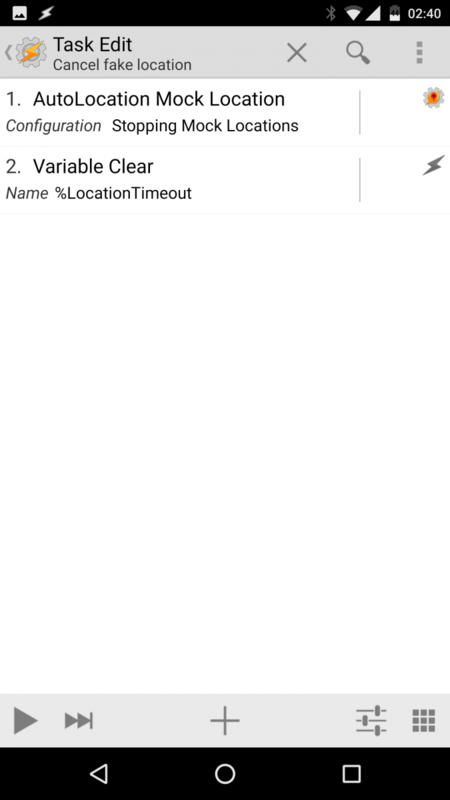 A very simple task in which the AutoLocation Mock Location gets unchecked and canceled, and the variable %LocationTimeout is cleared. 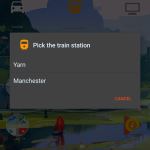 Sadly the Train schedules and delay Tasker profile can’t be used for now to get the same information from coach stations. I hope this will change in the future. I find this project to be a very handy solution whenever I want to check the status of a train I’m trying to catch. Download the project file on AndroidFileHost! 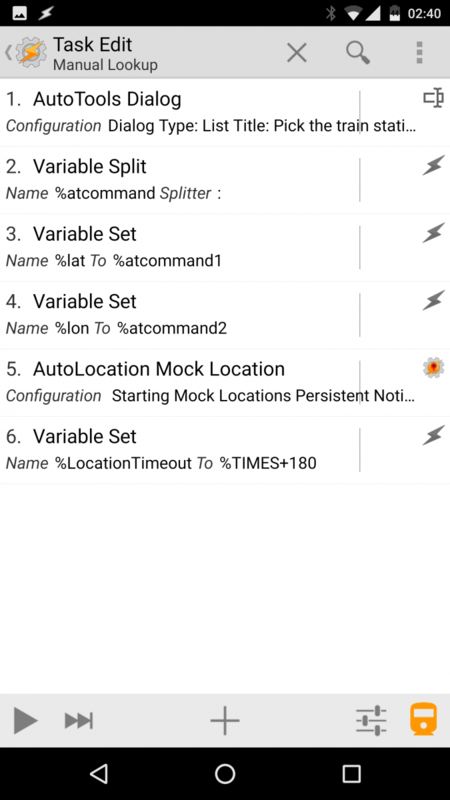 In order to import a Tasker project file, download the above file and save it anywhere in your internal storage. Open up Tasker and check to make sure that “beginner mode” is disabled in the preferences menu. Then, long-press on the “home” icon in the bottom left hand corner and click on “import”. Find the prj.xml file you saved earlier, and select it to import it. You will now see a new tab in the bottom row containing all of the profiles and tasks we referenced in this article. We hope you enjoy this little creation of ours, and let us know if you think we can make any enhancements! I am passionate about technology, cycling, and art. This would explain why my bike has more computing power than your average office. I own notenoughtech.com and I write for xda-developers.com and pocketables.com Feel free to follow me!